With all of these different ways to get your documents destroyed, there can be some questions that arise as to which one is the best for you. 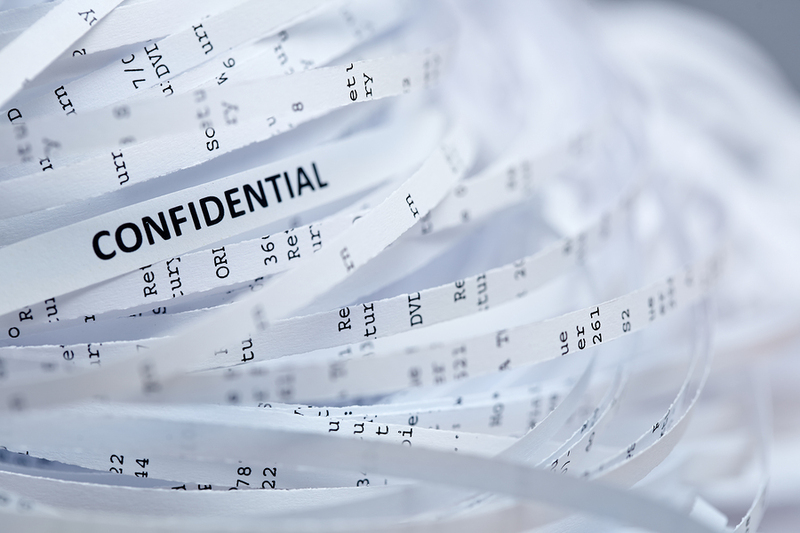 We have addressed all of the options you have for your shredding needs, but when it comes to the services that shred offsite (or away from you), how do you know that your documents are safe? First let’s look at drop off shredders and how they handle your documents. When you take your records to a drop off facility, you are going to leave your documents in a locked bin to be picked up when their shredding contractor comes out. This can be intimidating leaving your private records somewhere. How this works though, is the contractor will come out and only they are able to open the locked container. They then shred onsite in front of the management in order to ensure everything has been properly destroyed. Some locations vary, but for the most part, this is how the drop off shredding works. You will also receive a certificate of destruction when your records are destroyed. We then can look at mobile shredders coming to your location and picking up your documents. Most mobile shredders can shred onsite, but some people would prefer just to have their stuff picked up and taken away for a quicker process. If this is the case, it it a similar process to drop off shredding. You also want to keep in mind that shredding companies understand just how secure your information can be, and they never want to put themselves, or you, in a position to lose your information. Your documents are taken care of with the utmost protection in order to give you peace of mind. Shred Nations specializes in helping you find the shredding contractor that that’s right for your businesses regardless of the size of the job. If you’re looking for a quote on off site shredding services, please fill out the form to the right, or give us a call at (800) 747-3365.